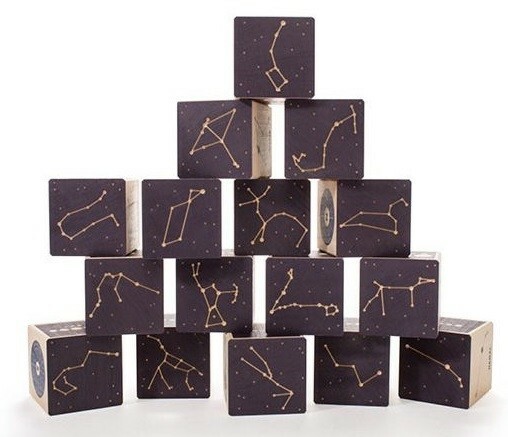 Enjoy stargazing at any time of the day or night with these beautiful blocks from Uncle Goose! 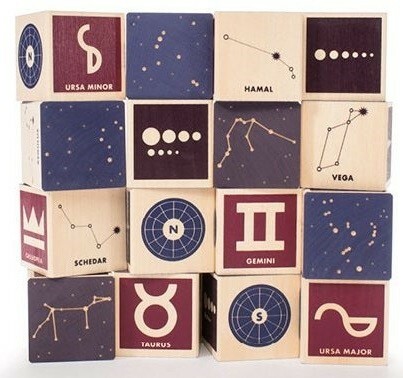 Sixteen heirloom-quality wood blocks come imprinted with the constellations (with and without lines) as well as the constellation symbol, name, hemisphere, and scale of magnitude. 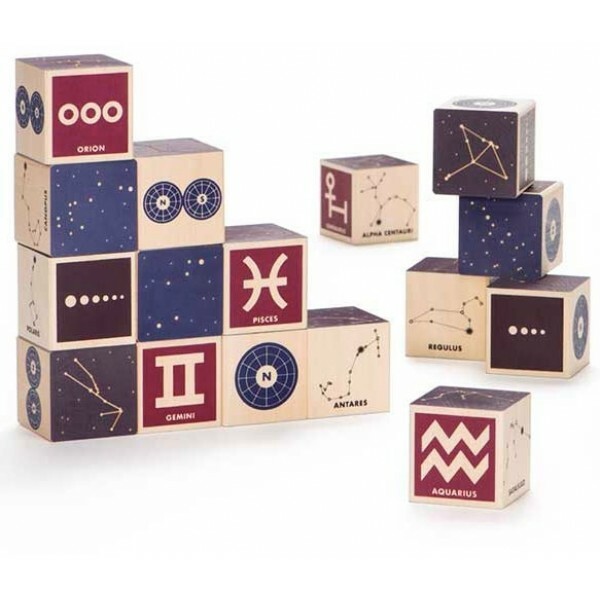 It's a fun way to bring the night sky into building block play. Uncle Goose blocks are handmade in the US with sustainable Michigan basswood. 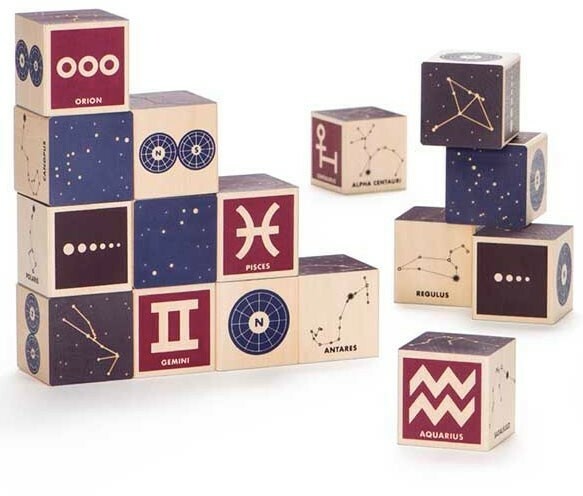 They are printed with non-toxic, child-safe inks and manufactured to a high quality standard, so you can pass these blocks on for generations to come.